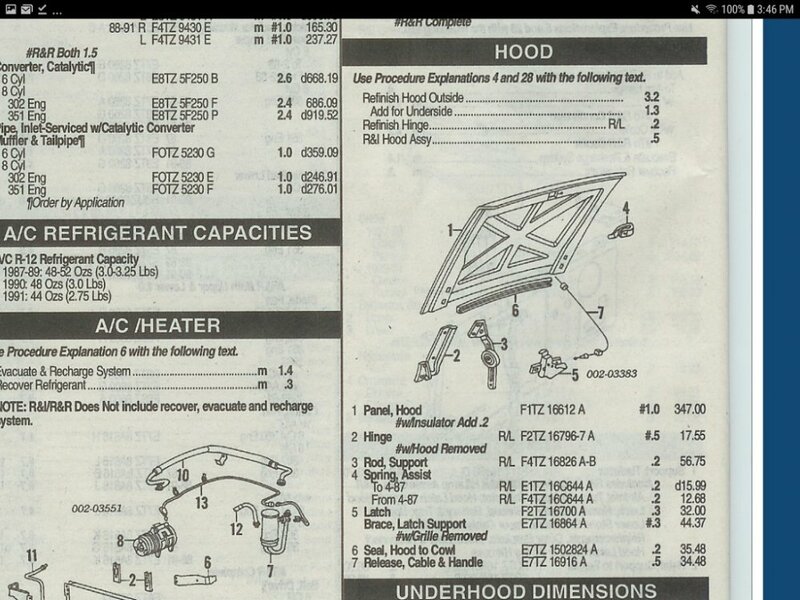 I was looking for a gas strut hood kit for both my Bronco's. Then I started wondering if the the 92-97 OBS kit would work? I thought the Brick nose and round nose used the same springs. Or is there just enough of a difference that the 2 generations can't mix and match this part. They did mention the year range for a reason, and they're specific for other makes and models. Re reading my own post I can see I wasn't being clear enough with 1 question. The Factory springs from 87-91 and 92-96, are they the same? If so could this lead to other hood parts being compatible between the 2 generations? Alot of the time they don't list the other generation because they didn't test it on those years of vehicle. As you can see, they have same Ford pn from 87-91.